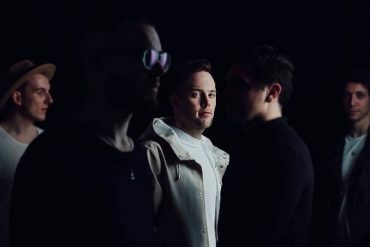 Glastonbury residents Dive In have just dropped their infectious new single Rush Of The Night, an upbeat synth laden summer anthem. The single follows on from the Don’t Break Yourself Apart and Eighteen EPs that were released last year. This one holds a special place in our hearts as it signifies the point at which we took our music from the studio and offered it to the world. Conceptually it’s about being in a situation / relationship that you know isn’t good for you and yet you find yourself unable to leave it. Rush Of The Night is available now from all digital retailers.